With school about to be in full swing, I am all about easy breakfasts I can prepare for the week. I created this on accident and fell immediately in love. 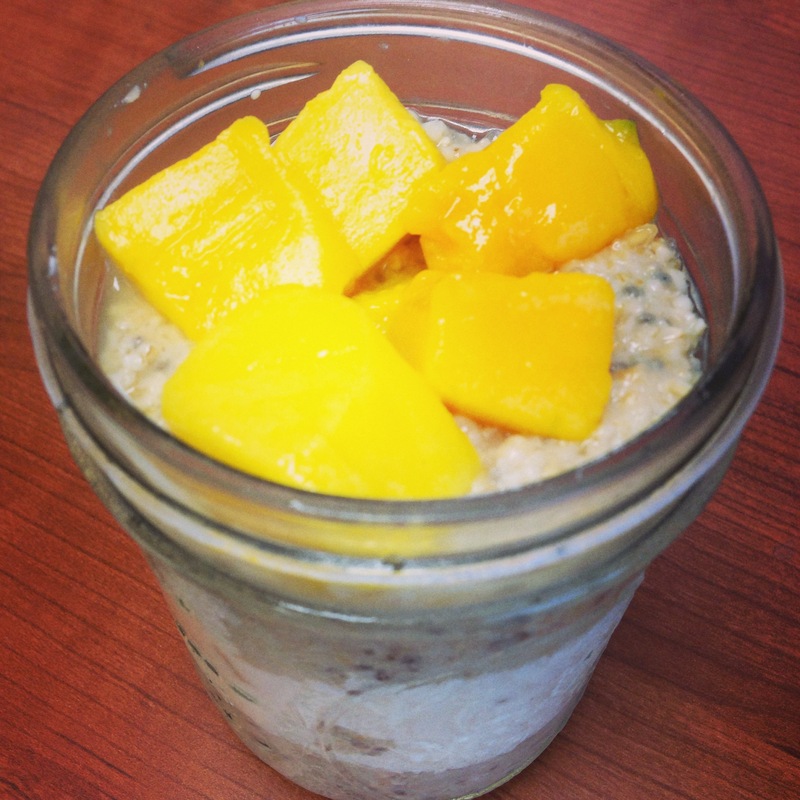 I like overnight oats, I’m crazy about steel cut oats, and Greek yogurt is my jam. I took a little part of each to make this fabulous oat parfait. Directions: In a pot, bring water to a boil. Add oats and let cook. Remove from heat for a couple of minutes. Add egg white and stir. Return to low heat allowing the egg white to cook through. Add vanilla, coconut extract, stevia, and chia seeds. 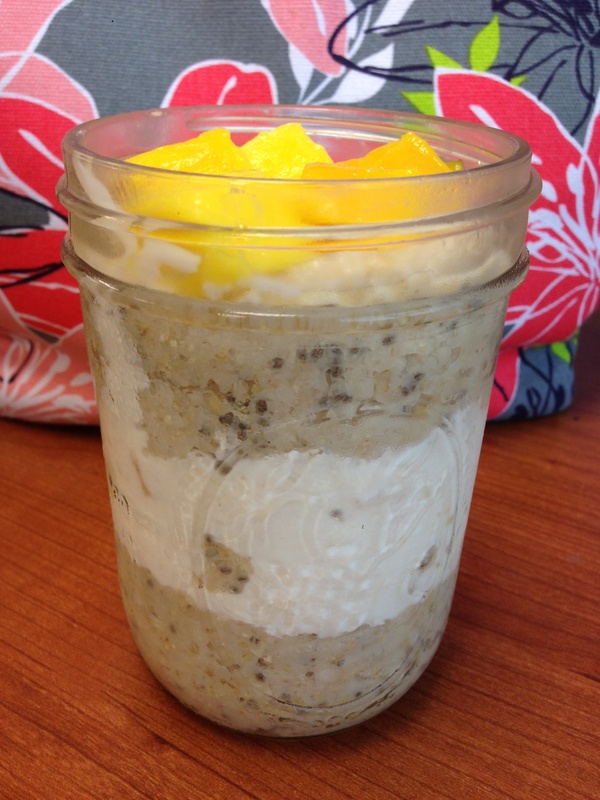 In a mason jar (or container) put half of the oats. On top of that put the mango yogurt and then the rest of the oats. Top with some mango and put the jar in the fridge overnight. I was shocked this morning how good it tasted. After I cooked the oats last night and added everything to them, they were a little thick so I needed to add some almond milk to get it moving. I probably added about 2 tablespoons, nothing crazy! I already made a different one for breakfast tomorrow. Stay tuned! My name is Mandy and I am a 23 year old high school math teacher living in Charleston, SC. I'm an Auburn Alum, I have a dog I love, and I have a passion for healthy living. Enter your email address to follow Applesaucy and receive notifications of new posts by email.